Today my guest blogger is Deb from Deb's World. 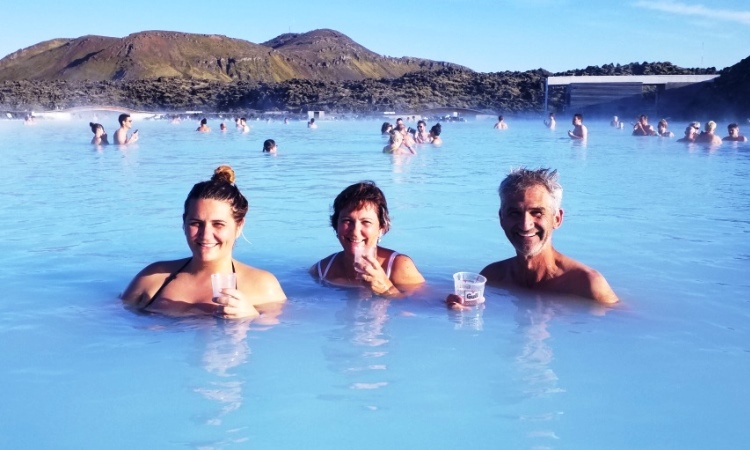 Deb is normally from Australia, but is in the middle of a 3 month Odyssey on the other side of the world (she's keeping us up to date with her adventures on a special section of her blog specially dedicated to her Odyssey). It’s lovely to be a guest on Leanne’s Cresting the Hill blog. I always enjoy reading her posts and her guests always provide some great insights too. It’s a generous, open hearted place for many of us who find ourselves in a similar situation of blogging after a certain age. So thankyou Leanne, for being such a generous and inclusive soul. As I’m away travelling for three months with the Mathematician, my blog is a work in progress and suffering from a lack of input. I’m doing what I can, when I can and I’m appreciating the break in normal routines but I’m also missing the interaction that goes with blogging. It’s not a fear of missing out, or a fear of being forgotten, it’s more a feeling of being out of the loop with my friends. I know some people think blogging is weird way of making friends but to me it’s a new version of the old way of having ‘pen friends’. My husband, the Mathematician, has been quite sceptical of my blogging friendships and has even scoffed at the idea they are real people. He has a view that they are all drug-crazed truck drivers! But he has had to change his mind after our most recent experience and I am happy to report he has literally done a complete 360 degree turnaround. Why the change of mindset? In one word - Lucile! I met Lucile in a Wordpress blogging course years ago and we became friends, as bloggers do. We followed each other’s blogs, we commented on each other’s posts, we followed similar blogs and became part of a little blogging community. It was always interesting and entertaining to read her insightful posts and see her delightful photography and learn that little bit more about her each time. We had lots in common including bike riding. In response to one post she asked me when I was coming to cycle in Amsterdam. Well it just so happens I had plans to do a cycling tour in Amsterdam one day, as it’s somewhere we’d never been before and we were looking for a side trip while planning a visit to our daughter in the UK. 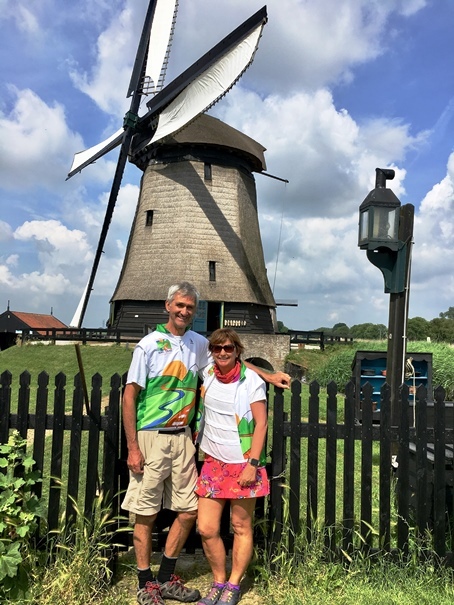 I duly contacted my friend Lucile, asking for some suggestions on where to visit in Amsterdam, what to see in the limited days before our cycling tour got under way and she responded with a comprehensive program and a generous invitation. The Mathematician, and our daughters, were a bit unsure about us meeting up with an ‘unknown’ person, but I didn’t have any concerns. I had met other bloggers in previous years, Desley, Miriam, Louise, Annie and all the bloggers at the recent Bloggers Bash in London, and they were just as I’d imagined. Actually they were even more delightful in the flesh than in their blogs, so I was perfectly at ease with my decision to meet Lucile. It turned out to be the best experience and one we’ll never forget. Lucile and her husband were welcoming, hospitable, charming, friendly, generous and so much fun, it felt like we were catching up with old friends. Which of course was what Lucile and I were all along - friends. I did something earlier in our trip, or our Odyssey as I like to call it, that I’d never done before. I went way outside my comfort zone and did a zip wire, flying high about the Eden Project in Cornwall. You see, I’m scared of heights and it was a very scary experience being harnessed into a suit and sent flying head first across the top of the centre. But it was also fun to push myself beyond my limits. To extend myself and fly. So too was taking the chance on meeting Lucile! But it’s definitely worth all the effort! In summary, life is what you make it, you can take a chance and reap the benefits or you can carry on as per usual and not take the chance to see if you can fly. I’m so glad I now know I can fly. Deb’s World is the world according to me…in photos, words, stories and sometimes even poetry. 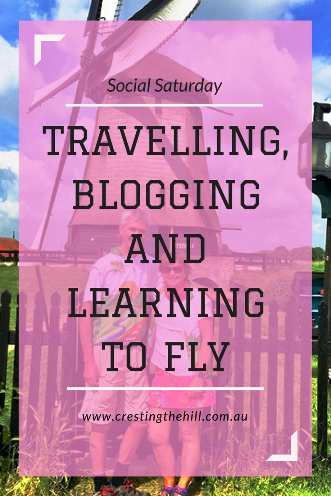 Since taking an early retirement, I'm making the most of my 'spare time' - travelling, Rotary, running, cycling, reading, photography and social media, I love to blog. The community network, continually learning new skills, and sharing ideas is a source of great joy. Other things that make me happy are my husband, our three grown up daughters and family. Isn't it amazing how our online blogging friends often understand us better than those IRL Brenda? I feel like the connections are deeper and on a different level than those with women I've known for decades - we just "get" each other and it's the positive reinforcement that I love the most. I like the idea that blogging friends are what we use to call "pen pals". That is so true, I never thought of that before. I love that blogging is like having penpals again Amy - it's such a great way of connecting with others who enjoy writing - getting to know each other and sharing our stories. It's what keeps me going! 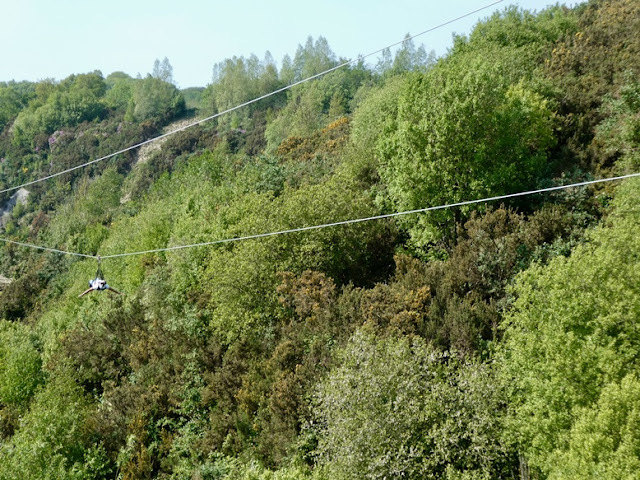 I think ziplining is on my bucket list Rebecca - I'm not a big fan of heights (and I hate those suspension bridges - and the GLASS ones!) It looks like it would be challenging but do-able - but 15??? I'm not so sure about that! Don’t get me started on glass bottom lifts and suspension bridges - 15 zip wires sounds a bit extreme for me too Rebecca!! I’m having a great time although we head home in a few days time which is a bit sad! Thanks for your comment and sharing your thoughts. I was so pleased she found time to fit in a guest post while off on her mighty odyssey Sue. 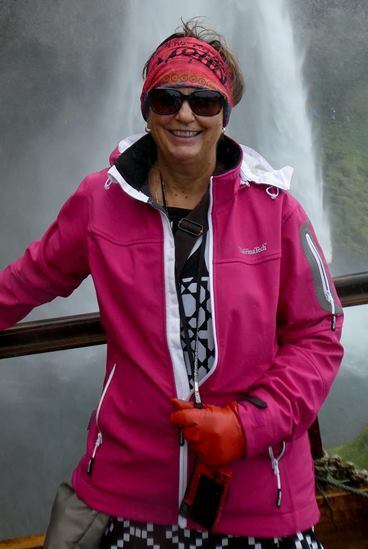 I've loved all Deb's FB pics and her updates - I almost feel like I was there with her for some of them! I'm waiting for my turn to zip line, but it's not a high priority, so other opportunities squeeze it out. I met my husband through our blogs! Like you, we were part of the same blogging community, people following each other's blogs, and eventually we met in person. Believe me, there were some humorous posts from each of us about the possibility that he might be an axe-murderer! I also met another blogging friend, who happened to live in a city near me. We met twice before I moved away from her. Blogging is a great way to make friends. Have fun! I love how you guys fell in love through your blogs Red - it's such a 21st Century thing to do! Blogging gives us so many great connections and it makes the world seem smaller than it actually is. I'd love to meet all the bloggers I feel like I "know" - we'd be an awesome group if we all got together in the same room! What a great story Red! I love the blogging community and your story shows nothing is impossible 😊 thanks for your comment and for understanding the connections we make as we blog. It certainly is a great way to make friends. Deb, I can relate to your post in many ways and appreciate all that you shared today. My husband and I hosted a couple (that I met through her Blog) in our home a few years ago. She was exactly as I imagined; warm, friendly, interesting and full of energy. My husband was a skeptic, (still is to some degree) and I can't believe that I talked him into meeting them. It was a wonderful experience, and to this day he considers them "friends." Good things happen when you are open to possibilities. That’s great to hear your similar story Suzanne, it’s amazing how we can make the world a smaller place just by taking opportunities. I’m so glad your husband came round, just as I am about mine. Thanks for your lovely comment and for reading my post on Leanne’s blog. I really enjoyed being her guest and writing my thoughts. Good on you for stretching those blogging muscles Janet! It’s a constant learning curve and as Leanne says there’s a lot more goes into producing a post than you first think. It’s been a great trip with lots of adventures 😊 thanks for joining in with the conversation. I just this weekend met two blogging friends for the first time, so I can completely identify with the great experience you had when meeting Lucile. Many times this weekend I thought about how my life would be 'less than' if I hadn't met the two women... and how I wouldn't have met them if it hadn't been for blogging. Thanks for sharing your perspective on this, and Leanne, thanks for hosting Deb. That’s so good to hear Karen! I love hearing these sorts of stories and how blogging has opened up our friend networks. I enjoyed sharing my thoughts here with Leanne for Social Saturday. Deb, there is so much about your blog post that I want to comment on! Yes, tried zip-line and glad I did (bucket list check), but won't do it again- was terrified the entire time. Yes, hope to someday meet some blogging buddies IRL. They are friends, "get me", and are often my biggest cheerleaders. But the most amazing thing for me... 3 months on an Odyssey! Wow! Great to see you over here on Leanne's site! Thanks so much Pat!! 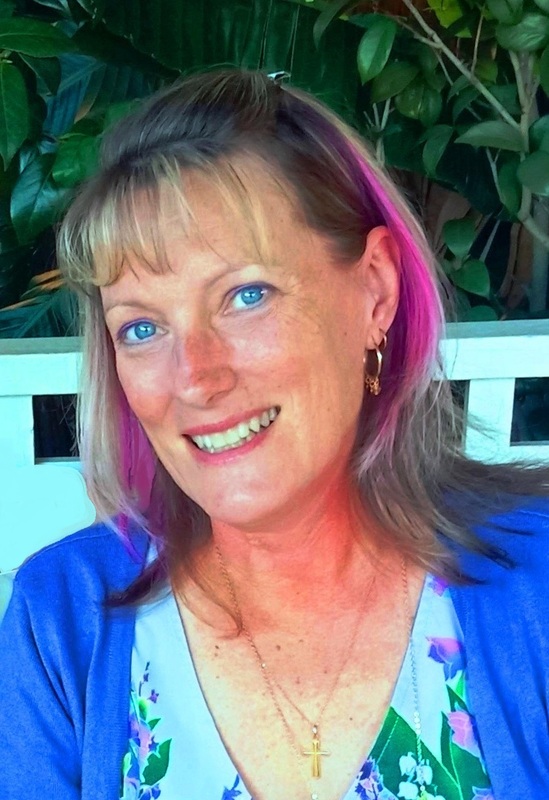 I loved sharing my insights and being a guest on Leanne’s awesome blog. So glad you can relate to my thoughts and to hear you’ve been zip lining!! I was scared too but am so glad I did it. I like the idea of our blogging buddies as cheerleaders, that’s exactly what they are!! We are a lovely community of like minded people and I’m so glad to be blogging. Our 3 months have been great fun but it’s ended with some sad news so while I could continue this lifestyle, forever we really have to go home now. The Captain had never been too keen to meet my blogger friends, often declining invitations to so. So when I arranged for my blogger friend Lexie to visit, I simply told him that we knew each other from Chicago (which was true, we met when she was blogging from Chicago). I knew that when he met her he would adore her as much as I did, and that is exactly what happened. He is much changed in a good way from the experience. Luckily, Lexie was the easy going guest I knew she would be. It could have been a total disaster, but I knew it wouldn’t be. Delighted to see how you have really stretched yourself undertaking your ‘Odyssey’ and truly benefited from the experience. Lovely to see Lucile here! Returning to Amsterdam to experience the lovely place in the company of her gorgeous smile is tops on my list. Thank you so much for introducing me to Leanne's blog with your guest post! Debbie, we have laughed a lot while talking about the crazy truck drivers and yet, as we concluded, this is such a common fear. That is why I am deeply grateful that you took a leap of faith and stayed with us, otherwise we wouldn't have ever met in person nor had the unforgettable days we spent together. Our friendship is the best gift you gave to me.